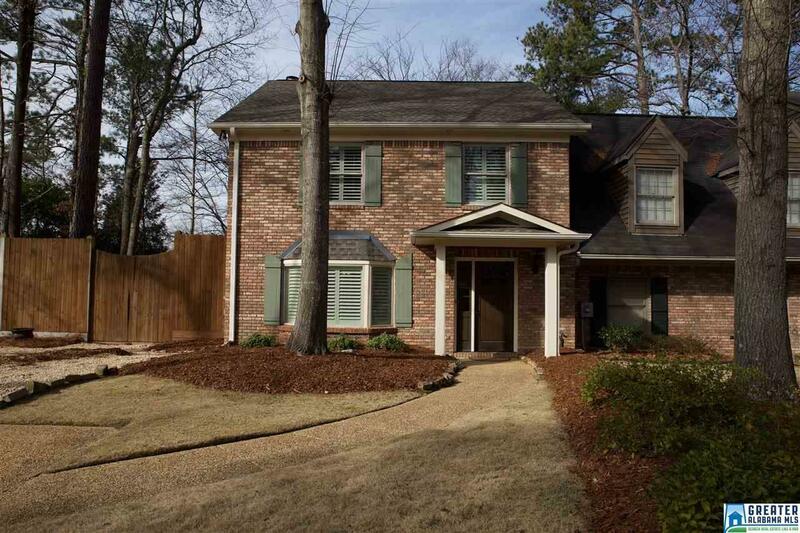 3200 Overton Manor Dr, Vestavia Hills, AL.| MLS# 838974 | Richard Jacks UABLIVING.com 205-910-2297 | Birmingham AL Real Estate | Contact us to request more information about our Homes for Sale in the Birmingham AL area. This is it!!! Vestavia Schools!! Fantastic custom remodeled unit in Overton Manor. Corner lot with new landscaping and attractive privacy fence. Extra parking area for this unit. Inside has been totally remodeled with beautiful tile flooring on the main and hardwood throughout upstairs. Plantation shutters throughout the house. All bathrooms have been remodeled with new cabinets, sinks and countertops. Master bath has large walk-in shower and double sink vanity. Kitchen has a huge granite island/table and stainless appliances, new cabinets and tile backsplash. Outside there is a patio with a lighted pergola over it and a storage shed attached.The side yard is nice and private and has room to play outside games.This one will NOT last long!!! Come see before its gone!